We have a legacy of inclusion, aspiring to tell and exemplify God’s love for every human being; women and men serve as bishops, priests, and deacons in our church. Laypeople and clergy cooperate as leaders at all levels of our church. Leadership is a gift from God, and can be expressed by all people in our church, regardless of gender, gender identity or sexual orientation. 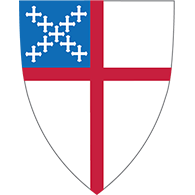 St. Luke's is a member of the American Episcopal Church and the Episcopal Diocese of Long Island.